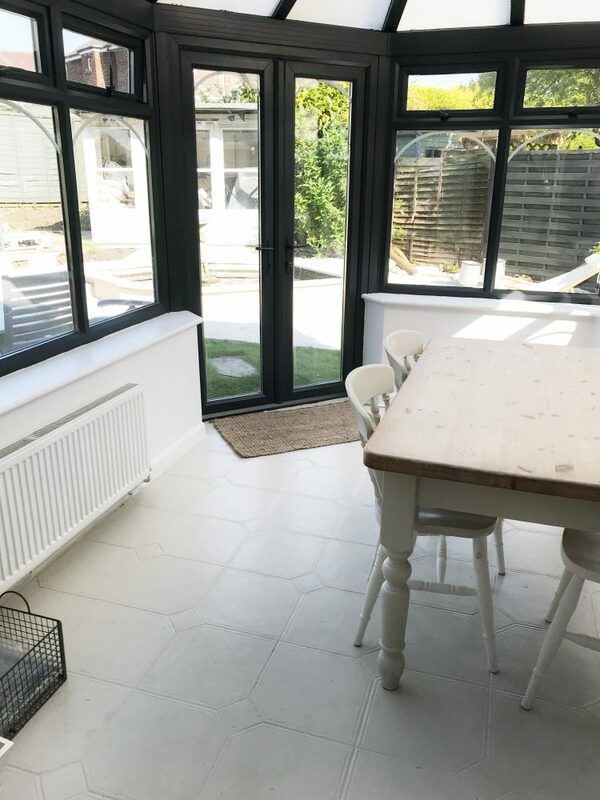 I still haven’t finished giving the conservatory makeover a little makeover, so this blog post does feel a little premature haha, but as so many of you asked I thought I would do a quick blog posting on what I have done so far, for those of you who want to tackle a similar project. 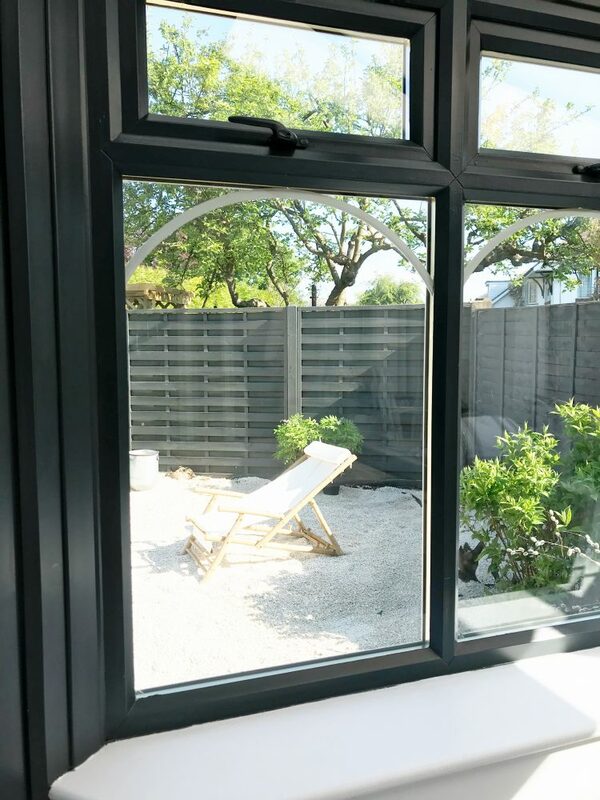 Our joiner had previously mentioned there are companies who spray plastic/ uPVC windows, which our conservatory was full of. 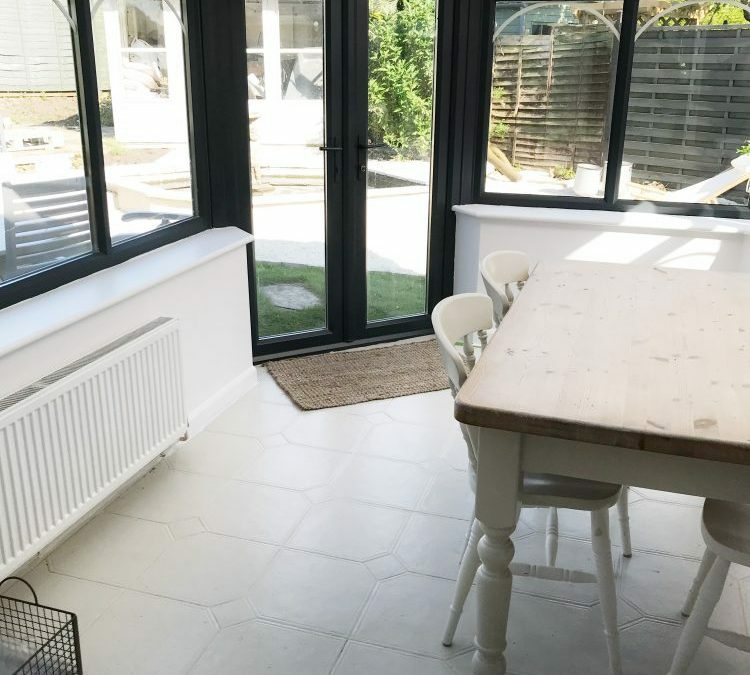 As the orangery of dreams isn’t happening anytime soon, I decided to do a budget makeover to make it a useable room again. Firstly I used the green frog tape for every window frame, obvious, but I thought I best cover all bases. I used two rolls for £12 and would recommend the wider frog tape. 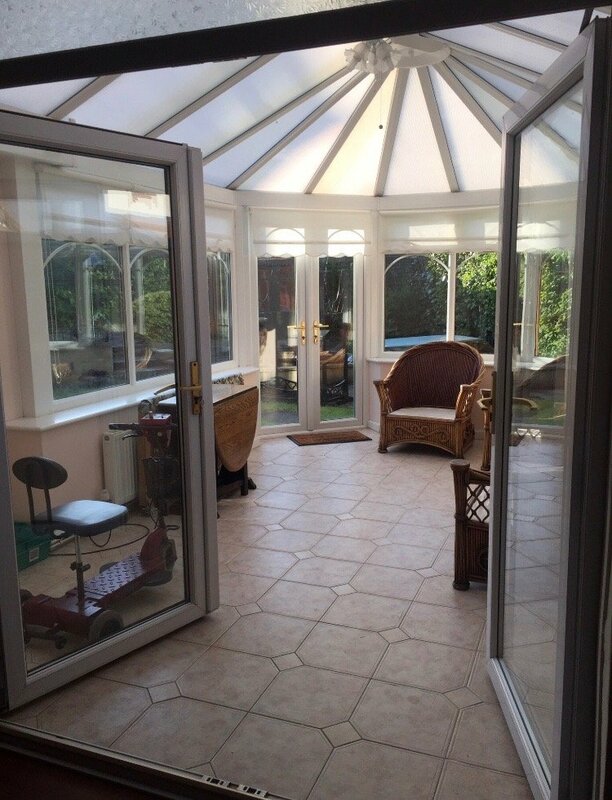 Prime all the frames with two coats of ‘Zinsser Bulls Eye 1.2.3 Primer-Sealer’, which was £18 for 1L. 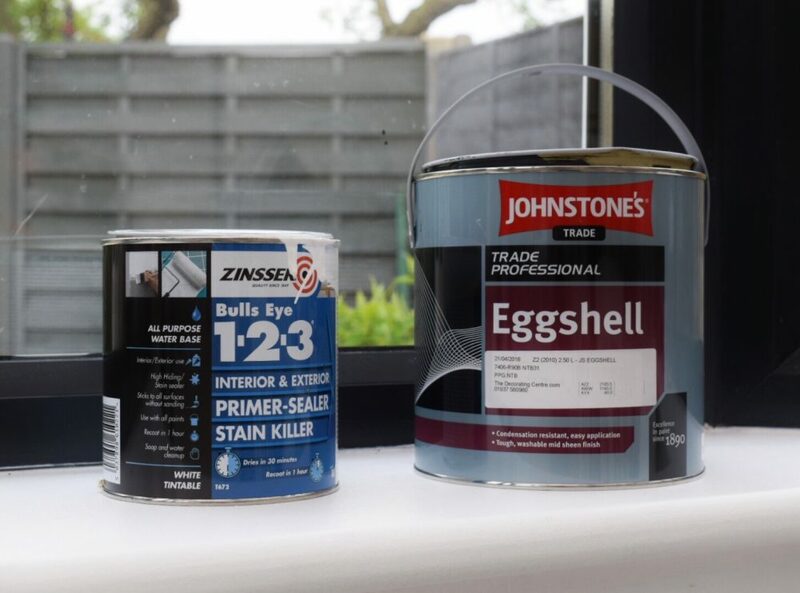 Then I just put on the final coat, I used Johnstone’s Trade Eggshell, which was colour matched to the Farrow & Ball shade – Railings and cost £30. To repaint the entire uPVC in the room only came to £60, but it does take ages, therefore patience and time required. I hope you found this post useful and do tag me in your pictures if you decide to tackle a similar project. Did you paint it with brushes or spray?